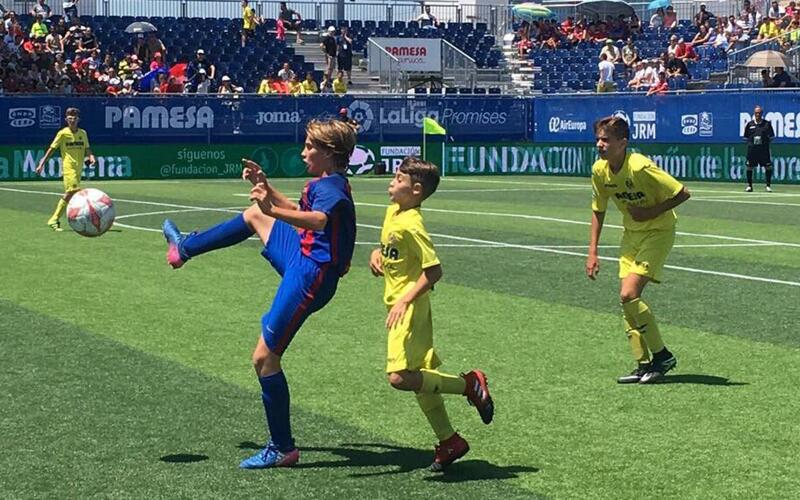 FC Barcelona's Under-12 won the 26th edition of the LaLiga Promises on Sunday after going undefeated in the tournament and beating Villarreal, 3–1, in the final. It was precisely in the final, when the goal of the tournament was scored. And it came from the shoe of Barça's Gerard Hernández, who bagged the final goal of the game after Villarreal had just pulled one back. With the score at 2–1 in favor of Barça and with just one minute remaining, Hernández took a pass from his teammates and shot from well within the Barça half. The ball arced beautifully over the entire Villarreal team, including its goalkeeper, and found the net to make it 3–1, putting the nail in the coffin.